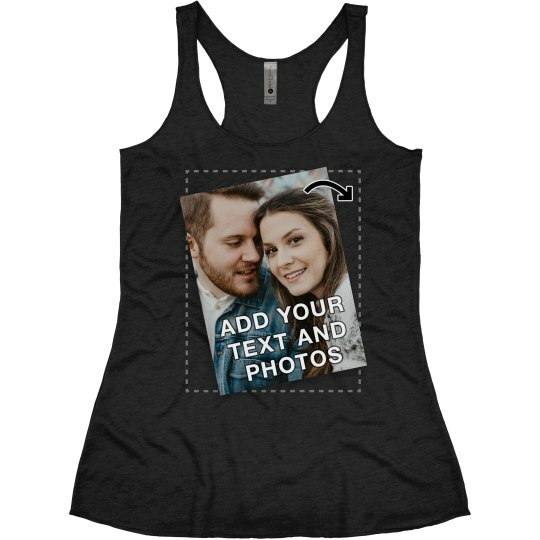 Personalize this tank top with your own text and images. Upload anything you want! Maybe it's a logo for your business. Maybe it's just a photo from your phone. Maybe it's a picture of a friend wearing a tank top that has another picture printed on it. Maybe that picture is you. So you see what's happening now, right? You have to get a tank of your friend wearing a picture of you and so on and so on. It's an infinite loop. 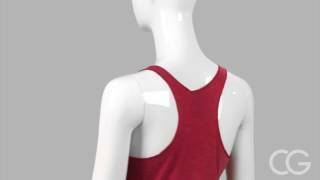 A tank top droste effect. 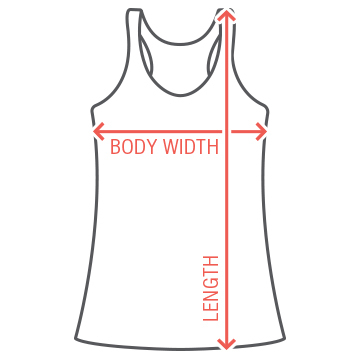 Anyway, we'll print this tank top for you on demand. Full color printing. No minimums. Order 1 or 1,000 or anywhere in between. We'll print it and ship it.